fresher candidates in India for Project Assistant, Project Technician Posts. 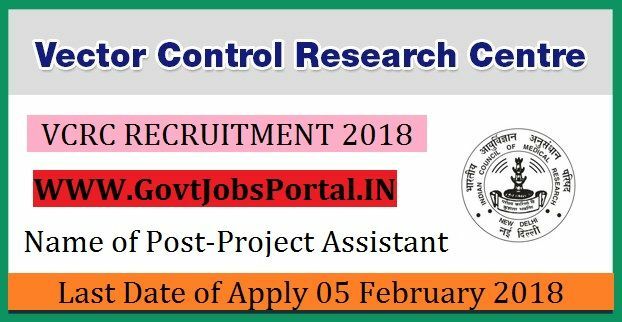 30 years can apply for this Vector Control Research Centre Recruitment 2018. Medical Laboratory or one year DMLT.